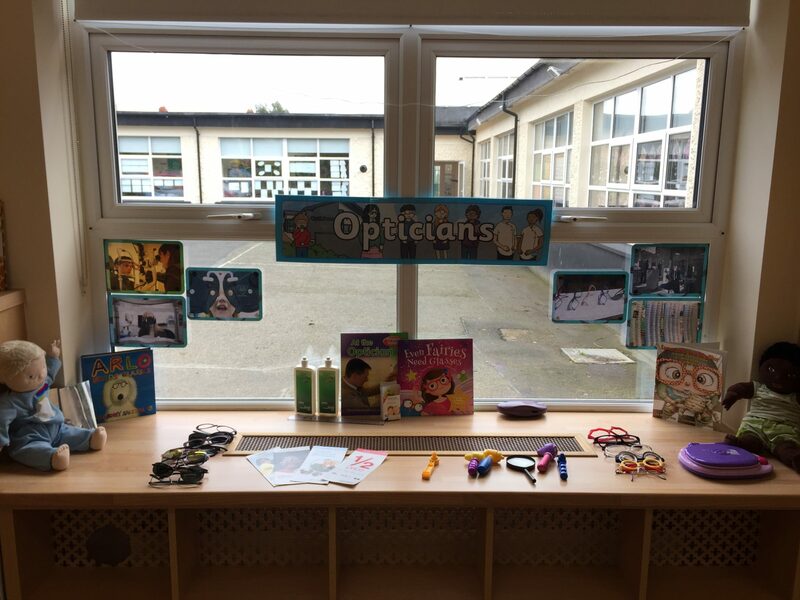 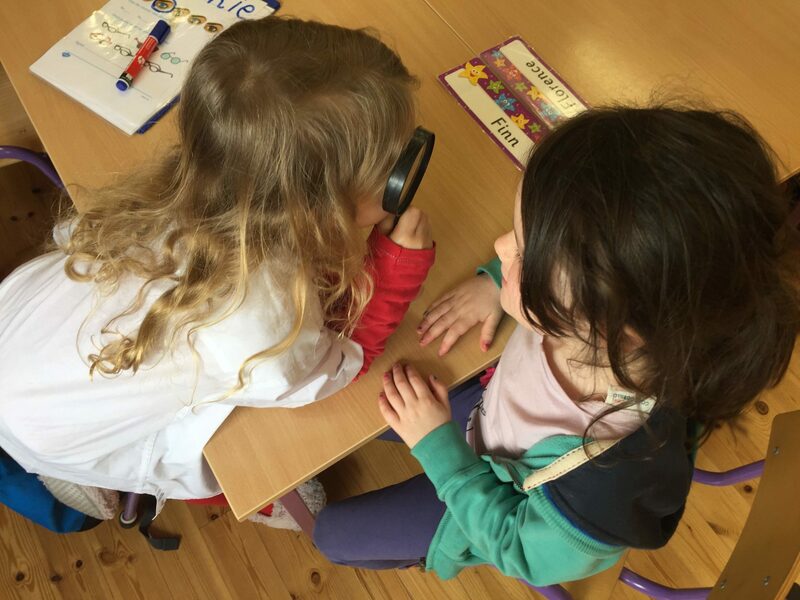 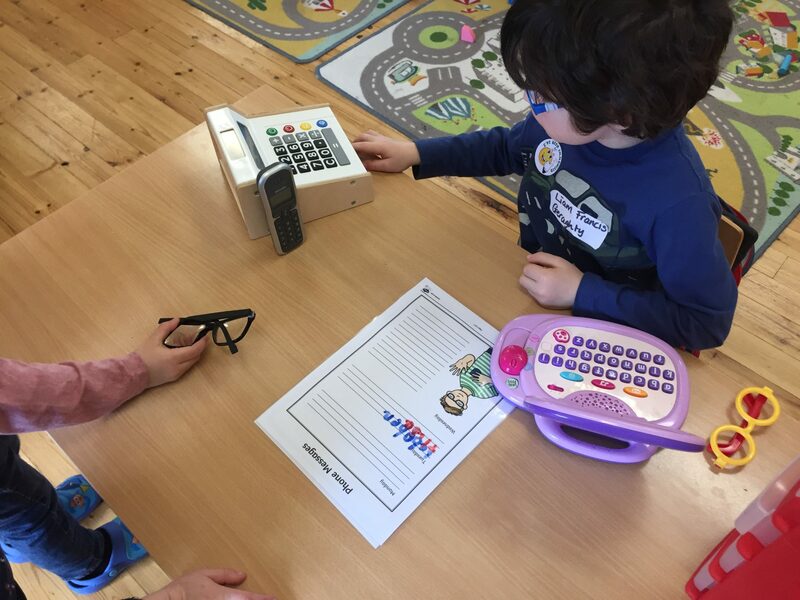 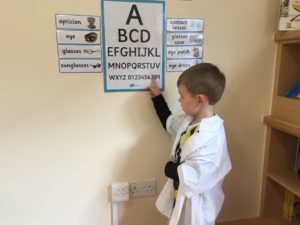 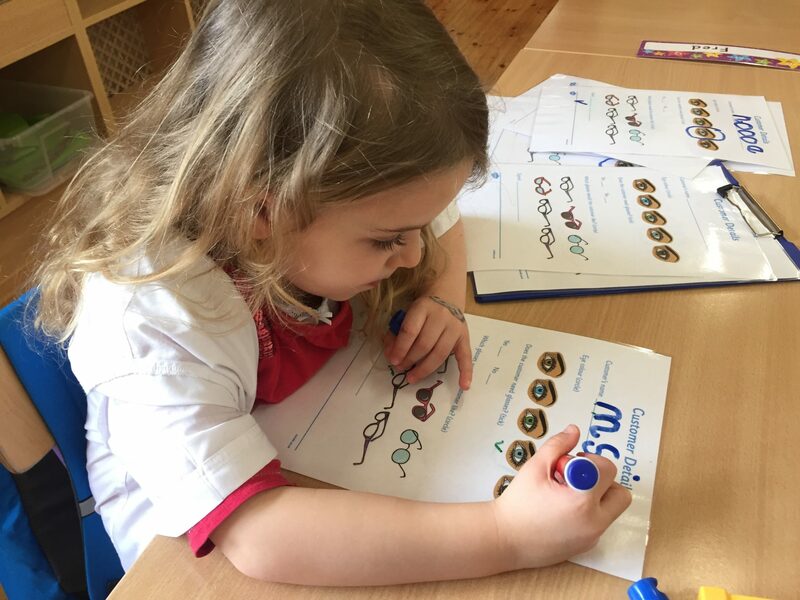 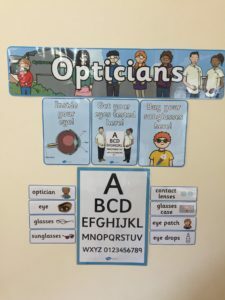 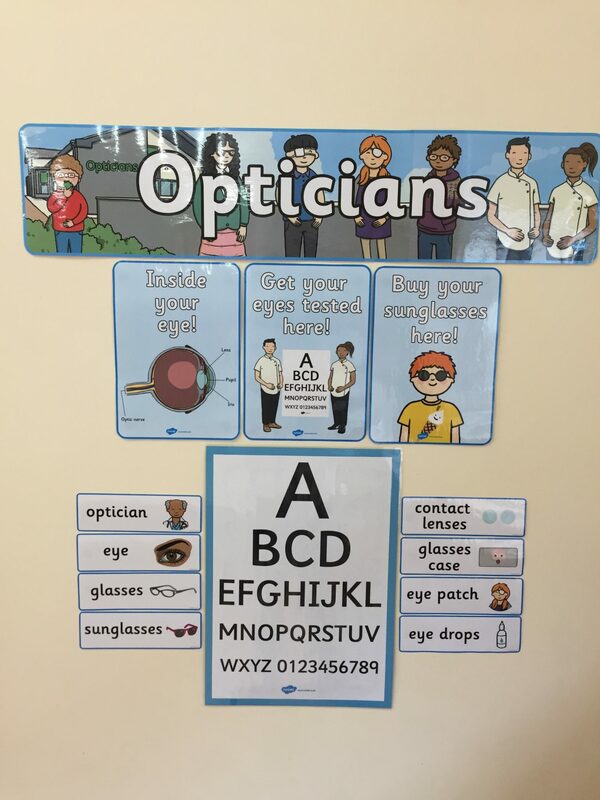 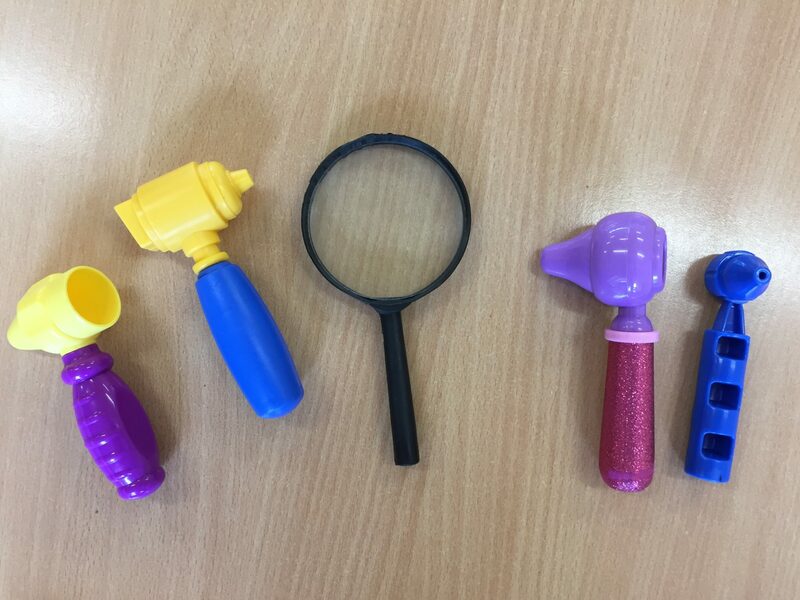 Having been to the Optician a few weeks ago, last week we started our very own Opticians in Junior Infants! 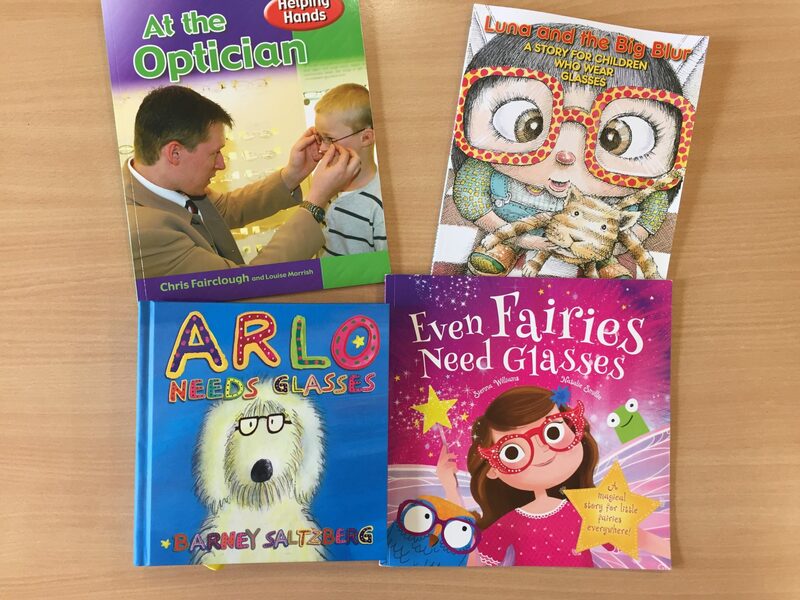 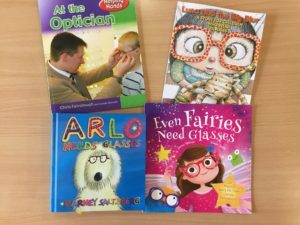 We read some great books all about wearing glasses and we thought these stories were hilarious!! 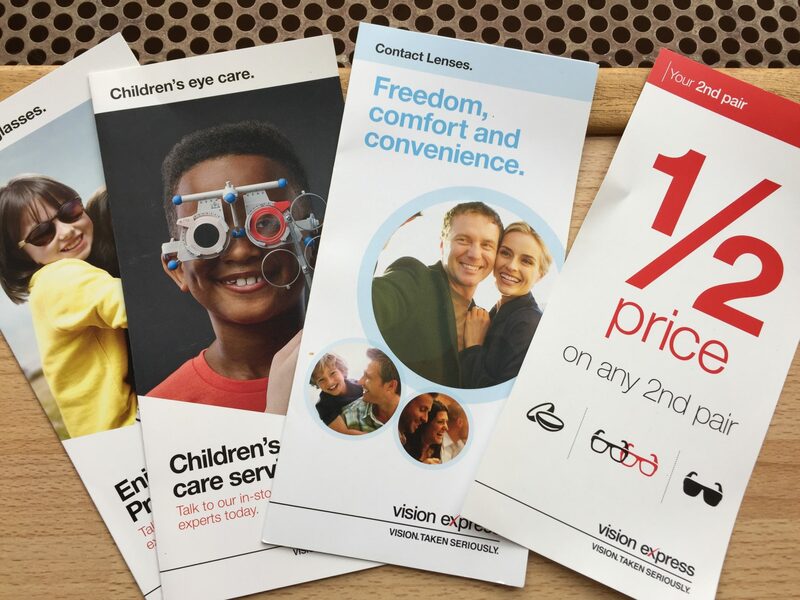 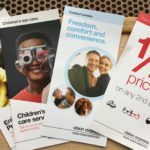 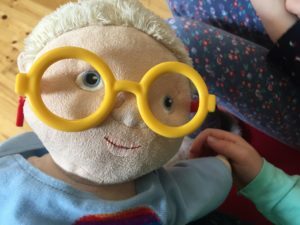 We’ve had great fun in the Role Play area making appointments, getting check-ups and choosing frames. 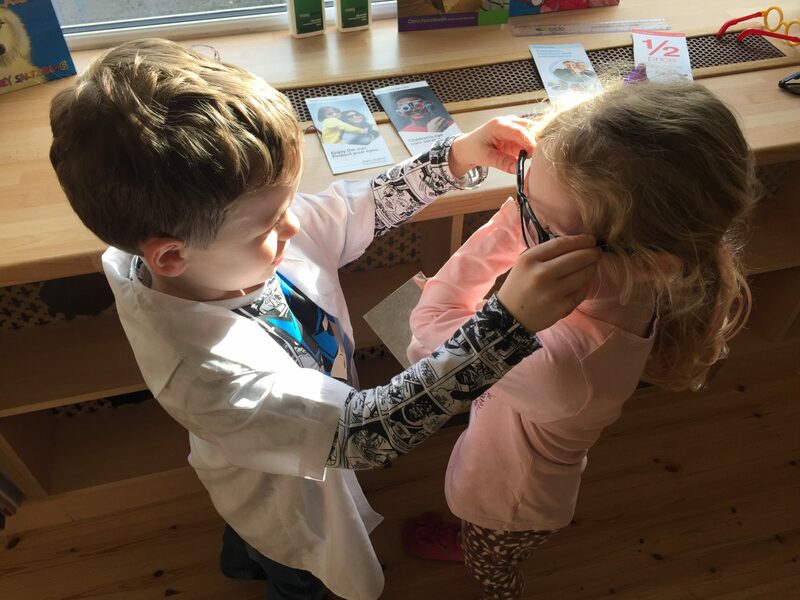 The babies have even been getting their eyes checked too! 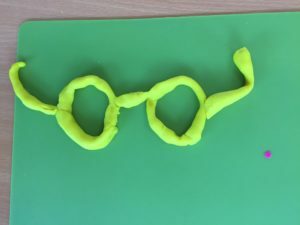 We’ve also been designing and making glasses in the Junk Art area as well as the Play Dough Area! 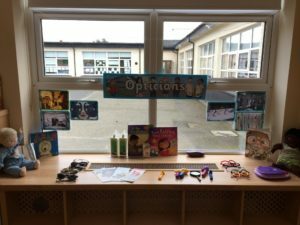 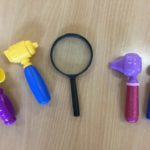 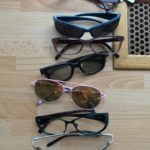 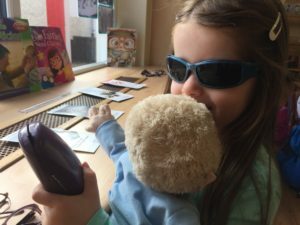 It turns out there are some very competent opticians in Junior Infants!! 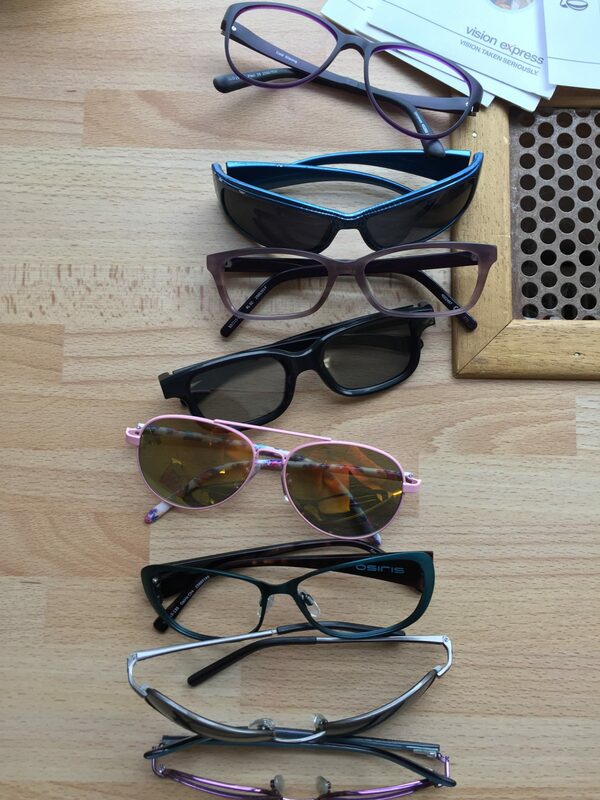 Previous story Thank You Ger!